Hey, girls! 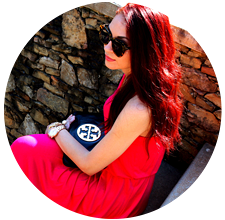 My name is Anna and I am the author of A Lily Love Affair blog. I am so thrilled to be taking over Pretty Little Pursuits today while Brittney is off enjoying some R&R! 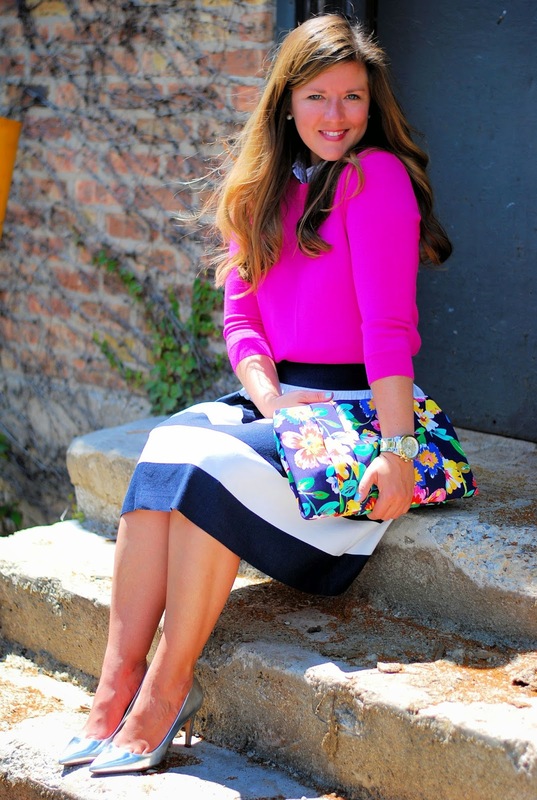 I'm so excited to share a bit of my own style with you all in today's post! I am located in Chicago and while we're still experiencing some fairly warm summer days, the last week or so has ushered in some cooler nights. Starting today on A Lily Love Affair, I will be sharing tips with readers on how to take your favorite summer wardrobe staples and transition them into Fall as the temperatures cool. 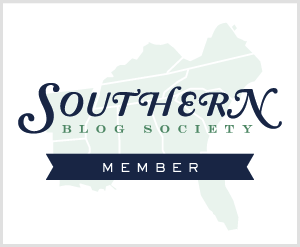 I wanted to the opportunity for this post to share those similar tips with Brittney's readers. 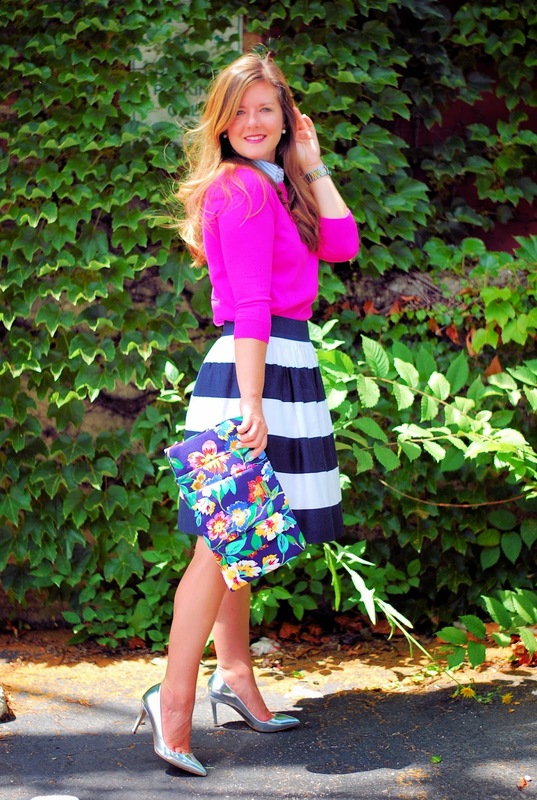 This stripe skirt from Banana Republic is absolutely one of my favorites! 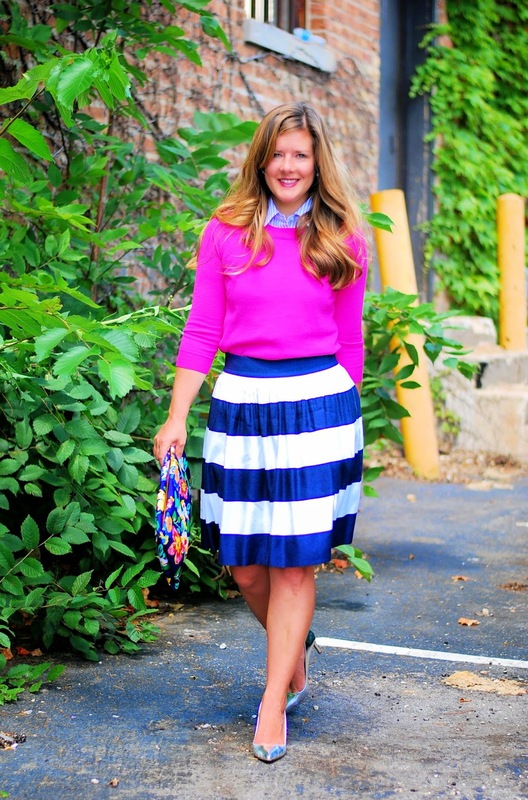 I love the navy and white stripes for it's versatility and endless styling possibilities! 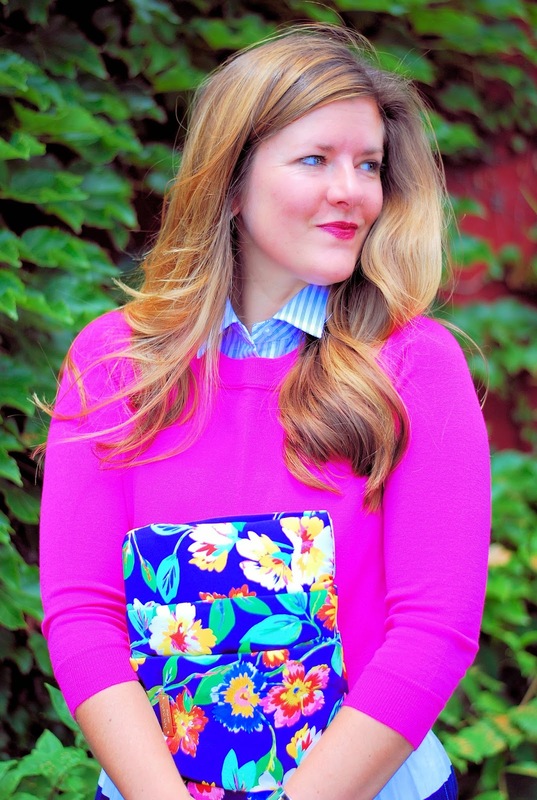 For this post, I partnered it with a sleeveless button down top, a bright colored sweater, silver heels for a bit of pizzaz and one of my favorite floral clutches to bring all of the colors together. 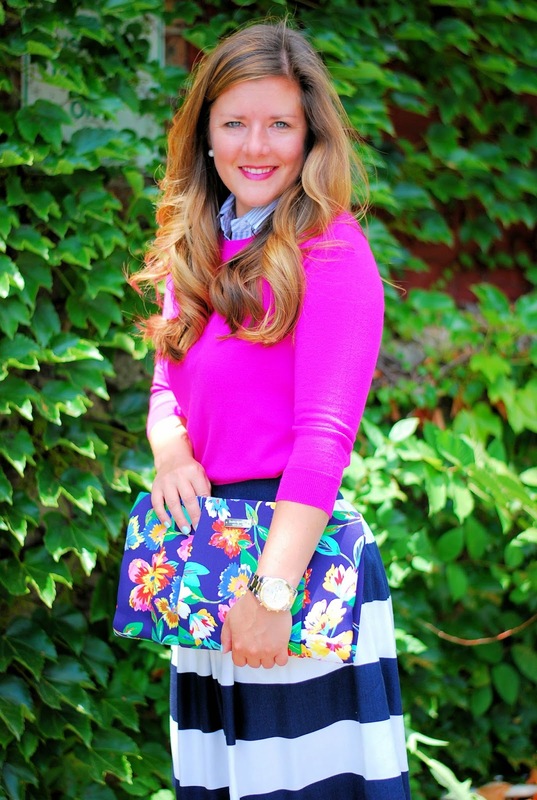 To see how I styled the look for summer, head over to A Lily Love Affair. Thank you so much, again, to Brittney for allowing me to share my style with you all today! I'm sure I speak for everyone when I say we cannot wait for her to return! I can't wait to see all of the pictures from her trip!